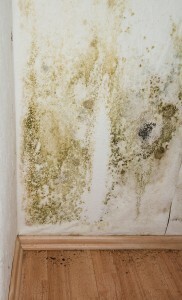 Comprehensive services – You can rely on us for mold inspection, remediation, prevention, and reconstruction services. That way, you can have all your mold-related needs met by one trusted provider. Effective mold remediation – We use containment barriers, air scrubbers with HEPA filters, EPA-registered fungicides, and other industry-recognized tools during our mold remediation work to ensure the best possible results. Phenomenal customer service – Because we understand how stressful it can be to hire a professional mold removal company to treat your home or business in Atlanta, GA, we will show the utmost courtesy to you and your home while we are performing our work. Certification letter promise – If we treat an indoor space that people occupy, we will have a third-party inspector test air in the space after we’ve completed our work. That way, you will know for sure that we’ve made the indoor environment safe again. To learn more about our professional mold removal services, contact Abatement Solutions today. We will gladly answer any questions you have and assess your home or business in Atlanta, GA, to determine the extent of mold growth inside. During this process, we can also have air samples tested as needed to confirm the presence of mold that is not readily apparent.